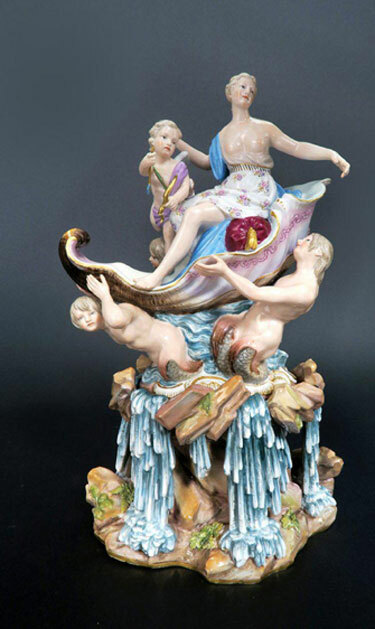 Late 19th Century Meissen Figural Group of Venus Attended by Putti and borne by Naiads Emerging from the Waves. Royal Antiques Collectibles Auction, Aug 16, 2018, Lot 0015, Estimate: $3000-$6000 –Opening bid: $2500. The flowing water depicted in porcelain is absolutely dazzling. Venus looks decidedly Saxon.